The guys in Cajun Country Revival like to say they don't "perform" Cajun music, they celebrate it. The band will celebrate music Thursday night, Aug. 30, with a show at Barking Legs Theater, 1307 Dodds Ave.
Cajun Country Revival has been called a "supergroup of American roots musicians." Comprised of Cajun musicians Jesse Lége and Joel Savoy, with members of Portland, Oregon's Foghorn String Band, this group plays music that seems to embody all of the things that make life wonderful. It's almost impossible to sit still when listening to Cajun music, so the show will include dancing as well. "I don't know how" is not a legitimate excuse to avoid dancing since there will be a lesson on the basics of Cajun dance at 6:30 p.m. before the 7:30 show. 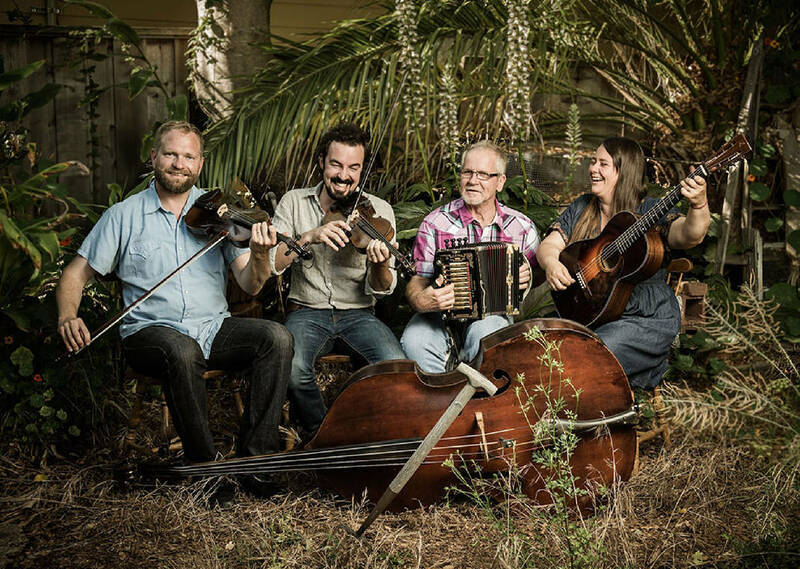 "It would be hard to overstate how excited we are to present Cajun Country Revival in this evening for dancers and listeners," says Barking Legs Music Director Bruce Kaplan. "Joel Savoy and Jesse Lége are as good as it gets. The opportunity to dance to a top-drawer Cajun band on a first-rate dance floor is pretty rare in Chattanooga." Son of Cajun music royalty Marc and Ann Savoy and the founder of the Louisiana-based Valcour Records, Savoy is a Grammy winner for his production work with The Band Courtbouillon, a nine-time Grammy nominee, as well as a two-time winner of the Cajun French Music Association's Fiddler of the Year Award. He has worked and played with the best of the best in South Louisiana as well as John Fogerty, Linda Ronstadt, Steve Earle and T-Bone Burnett. Growing up in a rural, pre-electricity home in Gueydan, Louisiana, Jesse Lege spoke Cajun French and learned music from relatives, neighbors and the family's battery-powered radio. Today he is one of the most admired Cajun accordionists and vocalists in the world, known for his high, clear, "crying" vocals. Lege has been playing traditional Cajun music and singing Cajun French songs for more than 35 years. He is a winner of numerous CFMA awards, including Traditional Band of the Year, Accordion Player of the Year, Male Vocalist of the Year, Band of the Year and Song of the Year. In 1998, he was inducted into the Cajun Music Hall of Fame.